Updated Tuesday April 16, 2019 by 23Club. 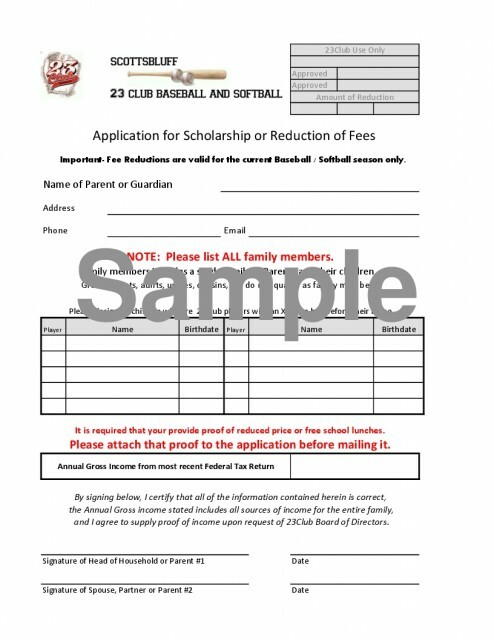 The 23Club offers scholarships/financial assistance to low income families which will cover or reduce the cost of league player fees. Depending on family income levels, player fees may be reduced 25%, 50% or completely covered. Families must provide proof of "Reduced or Free School Lunches". If you are interested in applying for this assistance, please print and fill out the attachment below and return it to 23Club. The Scholarship/financial assistance deadline is April 1st! This program is made possible by the United Way of Western Nebraska!